I am really frustrated by our sport when it comes to the erg being viewed as a torture device rather than a helpful tool that people can enjoy. This negative mindset, which is extremely contagious, plagues the sport, preventing athletes from training to their potential and possibly serving as one of the reasons that careers in rowing, at every level, are often so short. When compared to other endurance sports, I have not encountered an equal level of disdain for such fundamental mental and physical endurance training.My main problem is that everywhere I turn in the rowing community, whether it's high school rowers, college athletes, or even national team hopefuls, I hear of people dreading the erg. I've never heard about a cross country runner 'dreading' a track workout. True, basketball and football players may dread running wind sprints or other such conditioning activities, but I can live with that because those are not endurance sports. In other words, when strength, power, endurance, mental toughness, and monotonous activity are the bread and butter of your sport, it seems wholly inappropriate to create a culture that disdains such fundamentally important and central activities. When compared to other endurance sports like cycling, running, swimming, etc., I have not encountered an equal level of disdain for such fundamental mental and physical endurance training. A track runner might complain if he or she had to be on the treadmill all winter long, but the idea would not strike fear into his or her heart, as track athletes are forced to be accountable at all times. I don't know why, every winter, I have to go on Row2k and read ROWING Magazine to find out about "How to get through winter training," or "How to find ways to spice up/find alternatives for the erg." Why can't people just say, "Time to erg? Okay great. What is the workout, what am I trying to accomplish and what is the best way to do that in this workout?" Another issue: rowers complaining about mysterious injuries that only seem to affect performance on land. 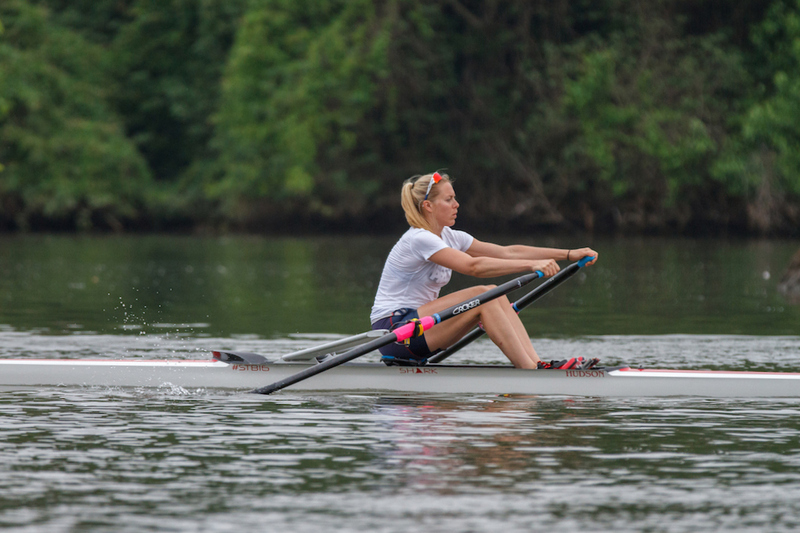 How common is it to have an injury that allows you to row on the water but not on the erg? I think that, in actuality, such injuries are exceedingly rare. I've had a number of athletes tell me about an injury they have, but somehow that injury only comes up on the erg. Rarely do I hear about an injury when coaching on the water. It is all too common for people to say, "but it doesn't hurt in the boat." Really? You mean that when you have to carry a heavy load, rowing by pairs, fours and sixes in an eight, have to twist out to one side with your torso and overload that side (all of this in a potentially unstable environment), that it doesn't hurt, but that when you are on a stationary machine that is completely stable and balanced, with a resistance setting that you can control, then it hurts? It seems very unlikely. I have a hypothesis: either it doesn't hurt on the water because you aren't pulling very hard, or it's because you aren't really injured and don't know the difference between pain and injury, or a combination of both. Again, track athletes are held accountable 100% of the time. The coach is standing there with a stop watch. When a rower is on the water, it's up to him or her to "give full measure." "I'm just not good on the erg, but I'm good on the water." Nonsense.I have a simple solution to this: you can't erg, you can't row. It's amazing how many less injuries occur when this is the policy. Also, I don't care how hard you work when running, cycling, swimming or doing whatever cross-training you might be doing—you aren't going to be in very good rowing shape based on your potential without the sport-specific training development. Another common phrase: "I'm just not good on the erg, but I'm good on the water." Nonsense. Sure, you might be able to beat someone on the water with a better erg score, but that is because that person is not technically skilled, and thus isn't able to utilize the extra power and fitness that they have. It's not complicated. I don't boat based on erg scores, but I give people with erg scores the presumption—they must lose a seat race to a weaker teammate in order to lose their seat in the boat. If that happens, it's not a good thing. It just means the rower with the stronger erg score is not technically skilled. Show me any good Olympic boat and I will show you a boat with great erg scores. Hamish Bond and Eric Murray of New Zealand are excellent rowers with great boat feel and technical ability, but they also have tremendous power and fitness. What about Mahé Drysdale, or Olaf Tufte, or Xeno Muller? Tremendous erg scores. Sure ergs don't float, but they don't lie either. 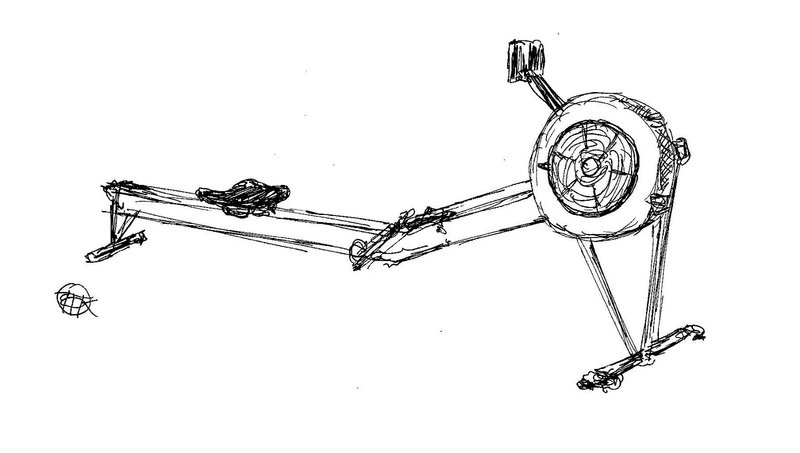 If you can't pull an erg it means you have no engine. I don't care how beautiful, sleek and aerodynamic your race car is, if it has V6 engine, then the only way it is going to win a race against a race car with a V12 engine is if that V12 is in an extremely inefficient car. Now, I understand people might have a problem with the erg because it doesn't perfectly simulate the rowing stroke, and can, undoubtedly, end up rewarding things that will hurt boat speed on the water (like rushing the slide). I don't have a problem with those people, because that, to me, is a valid concern and viewpoint. These people are not afraid of the erg and it doesn't cause them mental distress that affects their ability to perform and achieve their best. However, I think it's time for the rowing community, beginning at the high school level, to be more willing to embrace the ergometer as a training tool, rather than coming up with millions of reasons to fear the machine and letting it play games with our minds. In my opinion, this attitude, which is perpetuated year after year in programs throughout the country, creates mental blocks and leads people away from the training intensity they need to achieve their best possible results. This may be, in part, the result of coaches requiring athletes to go too hard on every workout on the machine. Sometimes, workouts should be easy. I suspect that if one went around to various rowing programs to find out how their 'steady state' speed on a 10k erg piece compared to their 2k or 5k time, and then went around to cross country and track coaches to find out what pace they had their runners run on a typical easy or steady state run, one would find that the rowers work much harder. For instance, let's say a runner runs a 5k in 18:36. This works out to six minute pace per mile, and 1:51.6 per 500 meters. According to the McMillan Running Calculator, easy steady state runs should be done at 2:02.5-2:06 per 500 meters and easy/long runs should be done at 2:18-2:27 pace per 500 meters. Take a rower who pulls an 18:36 for 5k, which is that same 1:51.6 pace per 500 meters. I bet many high school and college coaches would have that person doing their steady state erg workouts at 1:58-2:00, and would never have them go as slow as the running calculator recommends on the easy/long runs. Rowers should look at both kinds of training as equally difficult. For this to happen, coaches must bring a balanced approach to both land and water training.It's possible that because rowing is so low impact as compared with running, rowers can handle a faster pace for all of their workouts than runners and still recover. But this is a difference of 8-18 seconds per mile, which would be 45 seconds to a minute and a half difference over 10k. Finishing a 10k a minute faster than someone else is a pretty significant difference, especially if done day after day and week after week. The cumulative effect on the body wearing down could potentially be significant, as the body's physiological systems would be constantly over-taxed. Perhaps this is why so many people hate the erg and "burn out" in rowing—far more often and much earlier in their careers than the majority of runners. Many coaches seem to adopt the approach that Olympian and running coach Jack Daniels refers to as the "Eggs Against the Wall" theory of coaching, which he defines as the metaphysical act of throwing a basket of eggs against a wall and hoping one of them doesn't break. When you train as hard as most coaches recommend, the few, stellar athletes that can handle the training will succeed, and some of them might even go on to compete in the Olympics. What about all the rest? They will burn out, get injured and leave the sport. The key is balance: your training program needs to be well thought out, with enough days of easy, longer training to complement the extremely demanding sessions. If the erg is used purely for the most difficult of training sessions, it will not only solidify a negative mindset regarding the machine, but also, unintentionally, contribute reduced accountability on the water. If water training is looked at as 'easier,' you will undoubtedly underachieve when it comes time to race. Rowers should look at both kinds of training as equally difficult. For this to happen, coaches must bring a balanced approach to both land and water training. Finally, I think many rowing coaches fall victim to creating a crutch when it comes to an erg workout, rather than dealing the fundamental, underlying problem. Here is a common example of the kind of patchwork solution to a more serious problem: steady state erg workouts broken up into intervals like 4' on, 1' off when such rest is not needed to accomplish the physiological goals of the workout. In my mind, that type of rest should be used for speed intervals (in other words, when you actually need the rest to recover between intervals). I don't think if you are trying to keep your heart rate at between 60-80% of your maximum, for example, that having a minute off every five minutes will help keep your heart rate down over the course of the workout. At that intensity, if you are in good aerobic shape, you will not notice much variation in your heart rate between an hour straight through and an hour of 4' on, 1' off if it is done at a consistent 'steady state' effort (steady state being heart rate between 60-80% of its maximum). To me, this is appears to be another way of perpetuating the problem of disliking the erg, as it is clearly a concession to the idea that the erg is difficult to deal with mentally. This belief becomes a self-fulfilling prophecy. I wonder how many running coaches would say to their athletes, "Today we are doing an easy steady state run of eight miles, I want you to run at your easy/steady state pace for four minutes and then stop, walk or jog for one minute before resuming your steady state run pace until you complete the eight miles." I don't believe many running coaches, anywhere in the world, at any level, would do this. I think they would say, "Today we are going to do a steady state run of 8 miles at your easy/steady-state pace to work on aerobic development. Stay within this zone by running 'x' pace and I will see you when you get back." Maybe running is in the dark ages and rowing is just ahead of the curve on this one, but somehow I think it might be the other way around.